Stay in one of the best luxury 5* Gold Boutique B&Bs in Pembrokeshire. Welcome to Y Garth, A 5* rated B&B located in the north of the county near Newport and Fishguard. Among our many accolades, we hold the Visit Wales 5 star Gold Award for the 7th year in succession together with a 2017 Breakfast award. Our B&B is an ideal base from which to sample all the hotspots that Pembrokeshire has to offer. Our rooms feature fine linen, designer fabrics and luxurious furnishings combine to create that special ‘wow factor’. Romantic 2 night getaway package from £265 per couple. With distant sea views towards Fishguard Harbour and Strumble Head or picturesque open countryside views this stylish B&B offers relaxing, luxury accommodation and excellent breakfasts therefore ensuring you are happy, relaxed and pampered. Special attention to detail is evident everywhere. Whether you’re looking for a romantic getaway, are on a business trip, celebrating a birthday or simply need a relaxing break from your hectic everyday existence, our stylish rooms are the perfect place to unwind and relax. 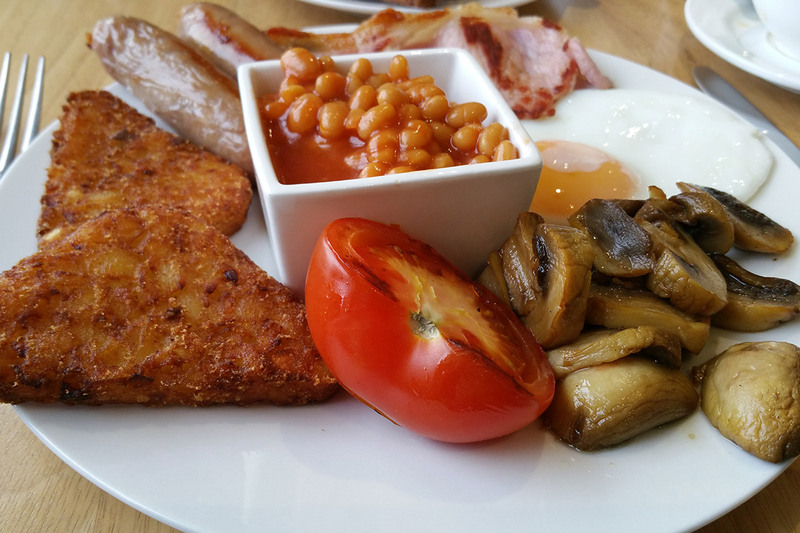 Y Garth full breakfast: locally produced home cured thick cut bacon; award winning sausage; sauteed mushrooms; baked tomato; baked beans; free range fried egg. Vegetarian breakfast: vegetarian sausage; fried egg; sauteed mushrooms; baked tomato; baked beans and hash browns. Savoury American style pancakes with scrambled eggs with/without slices of streaky bacon. 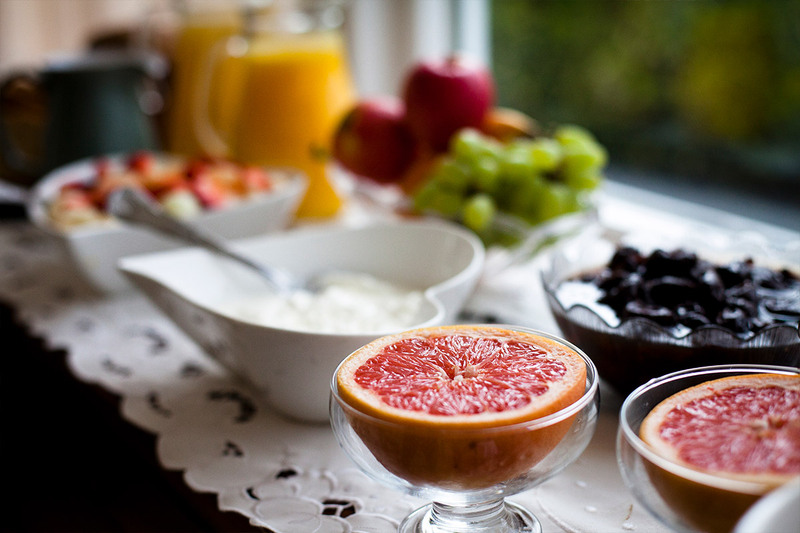 American style pancakes with fruit compote, fresh fruit; yoghurt and maple syrup. 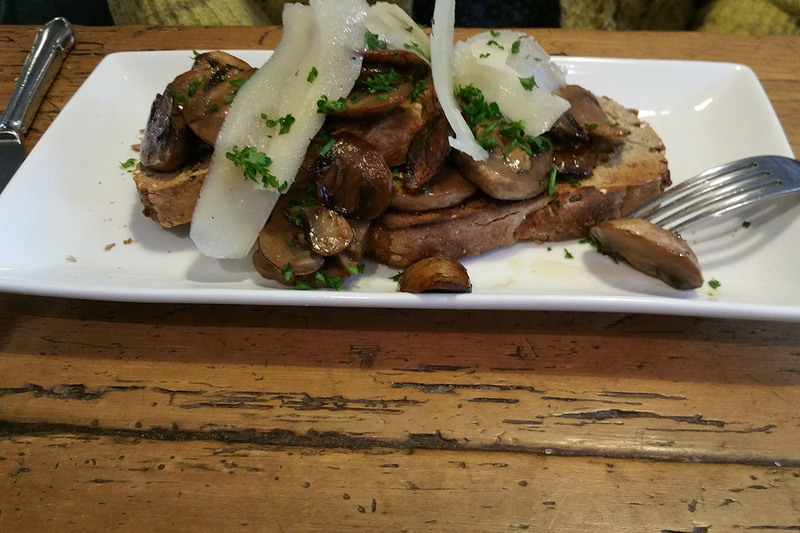 Sauteed mushrooms with shavings of parmesan cheese on a toasted brioche. Softly boiled eggs with wholemeal toast. 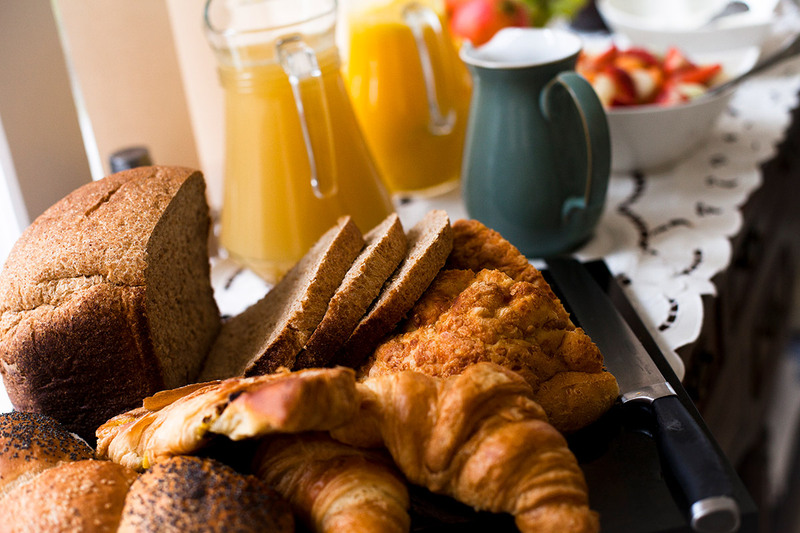 All breakfasts are served with plenty of toasted wholemeal bread and preserves. Cafetiere of Welsh Brew coffee; Selection of Teas. Among the many guests who regularly stay with us we are very popular with walkers. So if you want to enjoy the amazing coastal walks around the 186 mile Pembrokeshire Coastal Path which was recently voted the 2nd most special coastline to visit (in the world!) by the National Geographic magazine (and is just a ten minute walk from Y Garth) it doesn’t mean you have to forgo the luxury you yearn for after a hard day’s walking. We are able to provide you with a guided walking experience with your very own VIP Wales personal guide, who will plan a route that will be tailored to your ability and interests. A detailed itinerary will be crafted for you that ensures you will make the most of your Pemrbokeshire experience. Y Garth is an awesome location for walkers. The numbers and variety of walks are literally endless. Whether you prefer gentle strolls along the valleys or coasts or more strenuous rambles and scrambles in the Preseli hills and mountains there are an array of adventures for everybody. We are able to provide you with a guided walking experience with your very own VIP Wales personal guide, who will plan a route that will be tailored to your ability and interests. A detailed itinerary will be crafted for you that ensures you will make the most of your Pembrokeshire experience. Whisk your partner away for some well-deserved romance and pampering in Pembrokeshire and relax with your loved one in luxury and style at Y Garth Boutique B&B. Spend your romantic break by simply enjoying spending the time together exploring beautiful Pembrokeshire. Why not let us arrange a surprise presentation for that special someone with a Romantic getaway at Y Garth. Plan a truly thoughtful and romantic idea and sweep your beloved off his or her feet – from the mountains to the coast. Romantic Break Package : The room will be dressed appropriately for you whether it be a birthday, wedding, anniversary or whatever, just let us know the occasion and we will make our utmost to make it extra special for you. This is an elegant and stylish contemporary room with a very comfortable kingsize (5ft) bed adorned with co-ordinated quality bedding, designer throws and cushions. Duck down and feather Duvet and Pillows ensure a superb nights sleep (alternatives available). Welcoming and luxurious - a bright and contemporary room offering either a superkingsize (6ft) bed OR twin beds (2x3ft beds) - very comfortable bed adorned with co-ordinated quality bedding, designer throws and cushions. A very pretty room with a very comfortable double bed adorned with co-ordinating quality bedding, designer throws and cushions. Duck down and feather Duvet and Pillows ensure a superb nights sleep (alternatives available). The rooms are very lovely and comfortable. The staff is very friendly and helpful. Lots of information and suggestions are provided in a welcome pack which has details of local restaurants and places of interest. From the moment we arrived to saying our goodbyes we experienced a warm welcome and enjoyed our 2 night stay in the luxurious Strumble room. Everything was spotlessly clean and Joyce could not be more helpful in meeting all our needs.